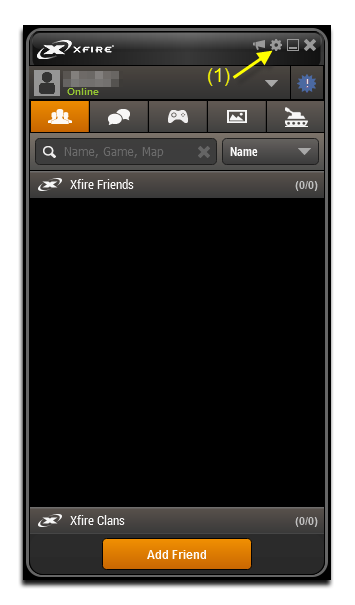 Xfire is a proprietary freeware instant messaging service for gamers, that also serves as a game server browser and has various other features. It is currently available for Microsoft Windows. Xfire was originally developed by Ultimate Arena based in Menlo Park, California. Xfire currently has over 21 million registered users, with frequently over 250,000 users online. 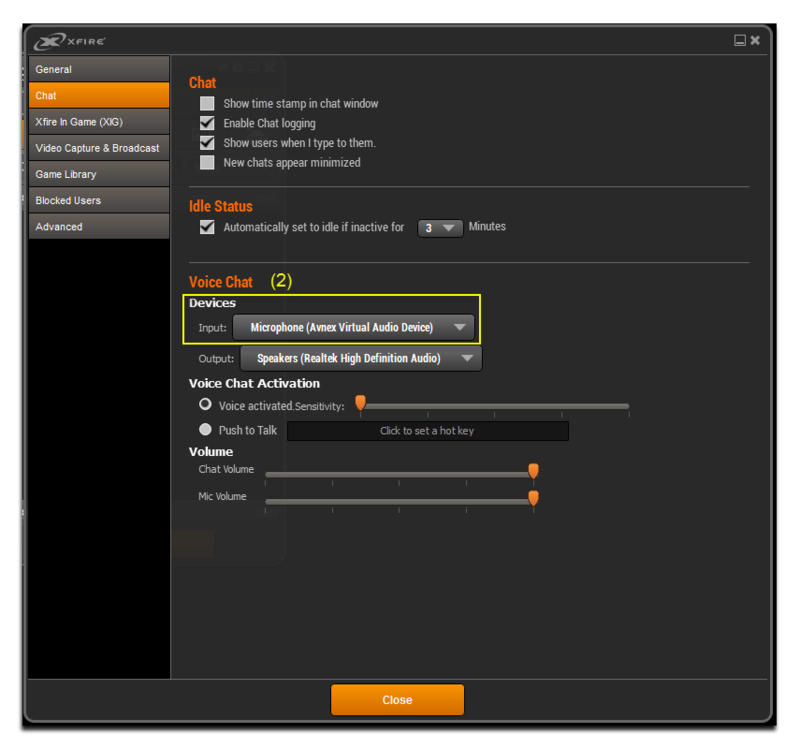 This tutorial will show you how to change your voice in Xfire voice chat session using AV Voice Changer Software Diamond 8.0 (VCSD 8.0). Click on Settings icon(1) to to open Xfire Settings window. 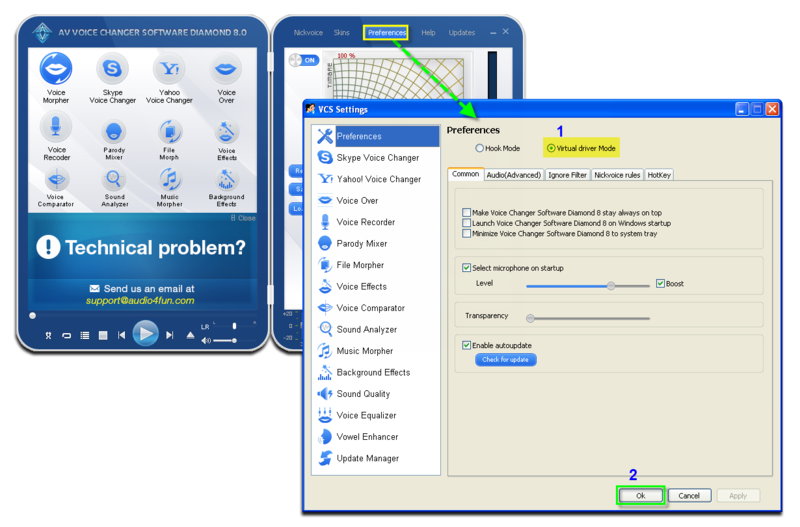 At Voice chat session, choose Microphone (Avnex Virtual Audio Device) (2) as Input Devices. Click Close to apply settings and close Xfire settings window. You can now make voice conversation with TeamSpeak in game. The morphed settings for voice will be applied automatically. Note: While VCS Virtual Audio Driver is being set as the audio driver for Xfire, do NOT turn off VCS8 while using voice chat in Xfire. If you don't want to use VCSD8, change the audio settings of Xfire back to normal audio source.